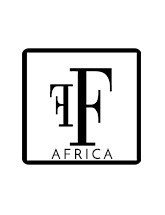 ﻿﻿After a year of planning for AFWL, yesterday 6th August saw the culmination of two days of non stop fashion shows featuring the best from designers that felt that Africa was important to them. I say it like this because not all the designers that show cased at AFWL were from Africa or of African heritage. We had designers from Poland, Scotland, India, Dominica as well as designers that flew in from all over Africa. The show was open to any designer that felt that being involved in AFWL was important to them. AFWL was produced by Mahogany Productions and Events and a lot of people may not realise it but history was made - for the first time ever 50 designers were shown in just two days, over 40 models were used, 2400 people got to watch the 8 shows and unfortunately over 2700 people did not get to see the shows due to each show being full to capacity each time and we had over 8500 people register for tickets for the show. Photographers and film crews came from countries such as Nigeria, Ghana, Holland, France, Germany and other places from around the globe. The list of A1 press that were in attendance was unbelievable and included the BBC, Reuters, Comic Relief (sent 20 bloggers down), Vogue, Sky, FAB Magazine, Ben TV and the Fashions Finest team was there in full force, way too many press to mention them all. As I read the Tweets and Facebook messages I am starting to catch up with the celebrities that dropped by which included the CEO of Africa Fashion Week (South Africa), Senator Giwa, Alexander Amusu, Adebayo Jones, representatives from various African and European embassies and so many more. As far as I am concerned everyone that attended was a celebrity. Now let's get down to the Kitty gritty the show itself. My honest opinion is that for the first show of its kind it was an outstanding and a fantastic success. Overall all of the shows started dead on time which does not even happen consistently at the top fashion weeks around the world. Out of 8 shows only the finale gala night started half an hour late and this was due to capacity issues and too many people that did not have invitations trying to get in and a problem with AFWL being honest, not managing the press and the VIP invitations as well as they could have and finally with our people being rude to the venue staff who nearly put a stop to the gala because of these people. When we finally resolved all issues, we informed that no more people couldcome in even though we were not at full capacity. So to a number of my personal friends that got turned away - yes by me, I am sorry but it really was not my fault. Even with all of that we still should only have been 15 minutes late but then the unbelievable happened a senseless lady decided that the best place for her to put her glass of red wine was on the stage which was covered in a pure white carpet - before I say it you already know what I am going to say - yes you are right she spilt it on the stage and turned my lovely white carpet into what looked like the aftermath of a murder scene, you know when a body has been removed but the blood is still there. It was a good thing that my staff refused to point her out to me, as this blog would have been coming to you from Brixton prison. So the dilemma for me was could I go on with the show with this massive red stain in the middle of the stage, what could I do? I had no option but to call my production guys in and with 250 people in the hall we assessed the situation and made the decision that we would change the carpet and within 15 minutes the great Ricardo, the crew and I got down on our hands and knees and replaced the carpet. We eventually started the gala show at 7.30, 30 minutes later than planned. Those of you who know me would know that I would have been very upset at being late but all the guests that were lucky enough to get in were patient and very understanding and throughout I made sure that I kept everyone informed of what was happening, as I dislike it when I attend a show and its running late and I am just sitting there and I have no idea as to why or what is happening. As far as I am concerned everything about the shows worked, the designers were as a whole were on point, just a few of them need to work on their finishing and quality of the fabric they used but that is the beauty of being part of AFWL, everyone is given a chance and it is primarily aimed at graduate, new and aspiring designers. It is unfair to name any particular designers as standing out but based on some of the independent reviews some of the designers to watch were Sve, Mia by Mia Nisbet, Adookeh, Ozora and menswear was stolen by Zekarayas Solomon, and our very own Top Model of Colour winner featured with her Adopted Culture label, however as far as I am concerned all of the designers that featured at AFWL were outstanding. Now, there were two distinct areas that I think AFWL fell short on and that was managing the overwhelming amount of press and in particular the issuance of press passes, by this I mean it's ok to invite the press but any particular media house should have been restricted to a specific number of passes (no more than two per media house) but the few times I had to help out at the door I found members of the press were bringing in friends who did not work for that media house. The second issue was that we had way to many people show up then we could get into the venue, I know a lot of people said that we should have restricted the ticket registration system but not sure that would have been fair. For example we had over 8000 people register for tickets but only 3500 came to the venue and based on that if we had restricted it a lot of people that did actually get in to the shows may not have. So my summation and how I feel about some of the issues raised by a variety of people. 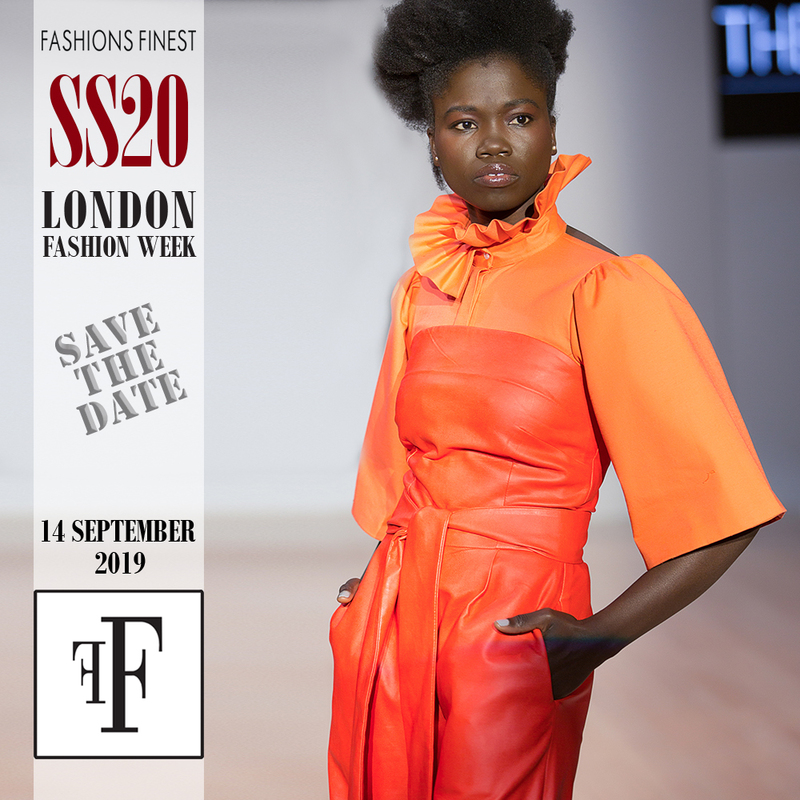 This was our first ever fashion week and comparing us to London Fashion Week that has been running for 26 years and has a budget that runs into millions somehow does not make sense. I go to LFW as press every February and September and for some of the shows I queue up forever and don't always get in and sadly that is life and this happens more so when it is free. 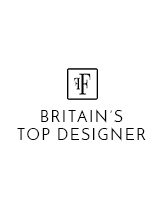 Why should we at AFWL be held to a higher standard and compared to others that have far better resources than us, I am not saying give me and the AFWL team a knighthood etc but before saying things like because I did not get in I will not do business with African designers that does not make sense - well not to me anyway. 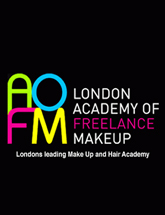 AFWL welcomes all of the comments and feedback that we have received good and bad and we will act upon it and try and improve where we can but if any of you think that at AFWL demand would not exceed supply, then sorry people you are not being realistic, unless of course we charge you £30 to get into each show. I must commend the founders of AFWL Ronke & Kamari Ademuliyi who had the vision and the courage to do such a big event and bring it to the UK and finally to all of you whether you attended or not for supporting us and recognising that if we are one, we will go places and achieve great things. I bet you thought I forgot as to why I said I had to get the Royal Protection Squad, you know I would never do that to you. To try and ensure that the gala event went as smoothly as possible I had to take over the supervision of people gaining access to the gala and this was due to the fact that information had come to my attention that lots of people were eager to attend even though they did not have tickets to this invitation only event. 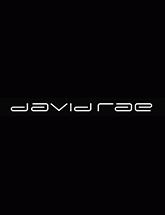 In the process of being creative director I also became head of security and head bouncer and I had the unfortunate duty of turning away or refusing to grant entry to NUMEROUS people, which sadly included some friends and business associates that I have known for many, many years. In the process of doing this I was told about myself in no uncertain terms and I saw a few people the following day who said I looked directly at them and refused to let them in. Firstly I did not see them and secondly - I am really sorry but this is business for me and I believe it is important to be as fair as possible. It must be noted that I knew 100's of people that came to AFWL and would have been unfair if I just let in people that I knew or I had worked with. To my friends, I know a few of you took it personally as I felt the cold shoulder when I spoke to you the following day, well how I feel about that is that you can't really be my friend as you would have understood and not have taken it to heart. As mentioned above there were issues I had to deal with and dealt with everything as fairly as I could. I am not being arrogantor pompous but as the saying goes "frankly my dear I don't give a dam".